1. Log in to cloud.sentryone.com. Select by your username, and then select Details and Sharing. 2. 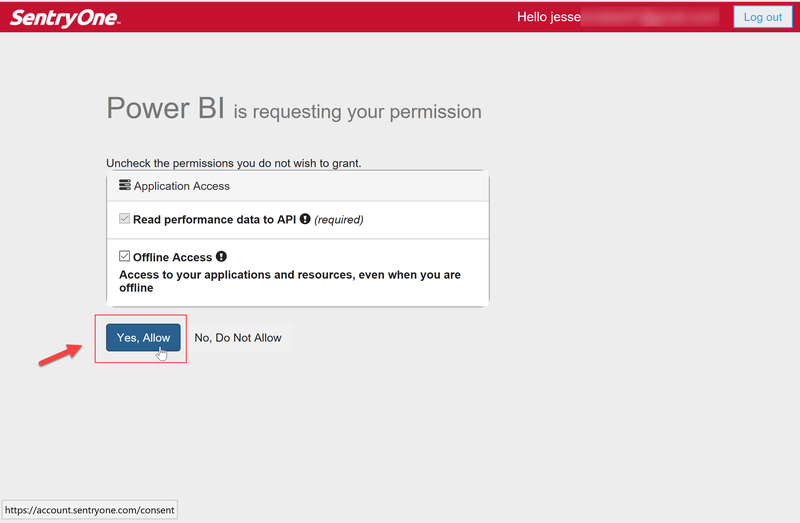 Select Power BI, and then log into your Power BI account. 3. Select Get Services in your Power BI workspace, and then select the SentryOne app. 4. Enter your SentryOne Database ID and select Next. Select Sign in to open the SentryOne account login page. 5. Enter your SentryOne account information to login to your account. 6. Unselect the permissions you do not wish to grant, and then select Yes, Allow to finish the setup process. Success: The SentryOne App is now installed and ready to use on your Power BI workspace! Additional Information: For detailed information about navigating Power BI, see Power BI documentation.